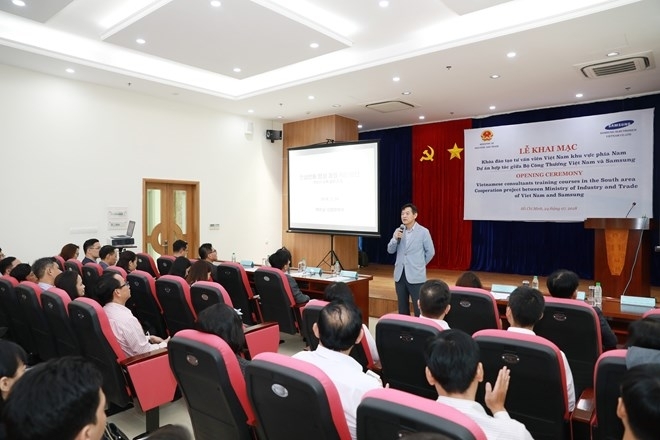 Samsung Vietnam and the Ministry of Industry and Trade (MoIT) opened the third and fourth training courses for Vietnamese consultants in the support industry in Ho Chi Minh City on July 24. The training courses, aiming to improve production efficiency of Vietnamese support enterprises, thus gradually meeting the requirements of global supply chains, are part of a memorandum of understanding between the MoIT and Samsung Vietnam signed during the visit by the President of the Republic of Korea to Vietnam in March 2018. The courses in HCM City are designed for consultants from southern localities. The first two courses were held for northern provinces, with one just ending in July and the other currently underway. A total of eight courses will be held during 2018 and 2019, with each course lasting three months, aiming to train 200 consultants in total. The third and fourth courses attract a total of 50 participants, who will be provided with theoretical knowledge on quality control and production management during four weeks, followed by eight weeks of practice at enterprises, where they will apply Samsung’s tested process. The process starts with assessing operations and business situation of the enterprises and advising the enterprises in how to renovate their production process, quality management and circulation of products by maintaining a good working environment and improving productivity. The Director General of Samsung Vietnam, Shim Won Hwan said from the success and positive feedback of the first and second courses, it can be expected that the training for southern provinces will provide new knowledge and useful experience for the learners, who will later become the core human resource for domestic enterprises in enhancing their capacity and competitiveness, thus joining supply chains of trans-national groups, including Samsung. 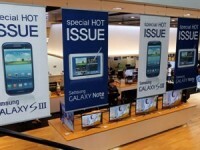 Samsung has been providing support for Vietnamese enterprises in this field by sending experienced experts to help them improve their capabilities. 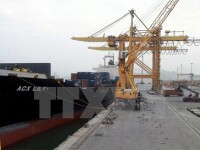 A total of 32 Vietnamese firms have benefited from the support.